This post isn’t made to discredit Phuket or discourage people to visit that amazing piece of land. It’s to give people an insight that Thailand is way prettier than they think. Almost everyone I know has traveled to Thailand. It’s world’s one of most favorite travel destinations (according to many websites & blogs) and backpacker capital (according to me). 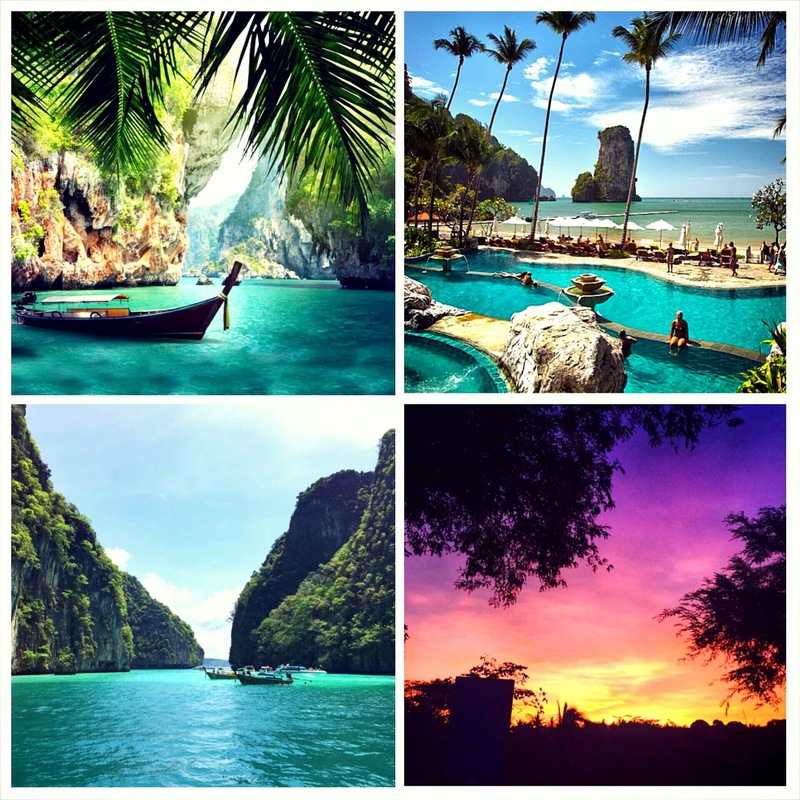 It has Bangkok as the shopping heaven and Phuket as the beach paradise. That’s all. Only a few people have heard about the hilly Chiang Mai and the vibrant Koh Samui. And no one has never heard about Krabi in Southern Thailand. It’s like Luke in Hemsworth family (read: not famous), that’s shadowed by Chris and Liam’s popularity. But Krabi isn’t as unattractive as Luke. Krabi is like a pretty boy. Prettier than Phuket, but less crowded. Less expensive, less scams, and more tourist-friendly. It’s not Phuket. It’s Krabi. “I saw the schedule, the bus shouldl be here in 5 minutes,” I said. “No. The bus isn’t here at night,” another guy answered. I looked at my phone, that was still 7.05 pm. “Cab,” the other one pointed a limo at the parking lot. “You guys use meter?” I asked. “No. 700 baht to Chalong,” some other guy said. “No. You have no other choice,” another different man continued. After 5 minutes and the bus didn’t show up, I had to agree on that pricing because I wasn’t comfortable to be surrounded by 10 aggressive strangers like that. Another weird thing: I shared the cab with another man. He was Russian and not speaking English. So was the driver. So I had no idea, did the taxi ride cost 1,400 baht? 700 from me and 700 from him? Super insane scam! It was very different from my experience when I landed in Krabi International Airport. There was a huge signboard showing how I could get my airport shuttle to the town. There was a fixed price, schedule, and where the bus parked. So awesome! And that only costed me 150 baht. Same thing happened when I took that cruise trip to Phi Phi and James Bond Island from Phuket. It costed me 300 baht for the one-day trip, but they put me on a fully-loaded ferry. I didn’t get any seat there. I sat on a machine box for more than three hours. Once we arrived in the crowded islands, we only stayed there for less than an hour before going back to the mainland. 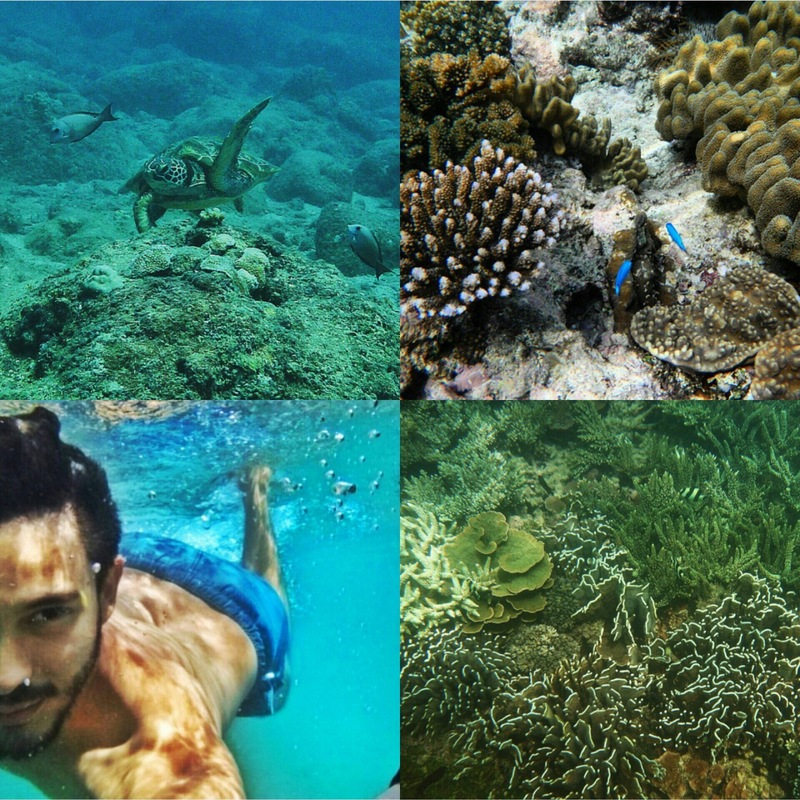 No time for sunbathing, enjoying the beach, or a proper snorkeling. However, a wonderful experience occurred when I’d like to do my cruise trip in Krabi and its surrounding islands (the best: Railay Beach and Chicken Island). 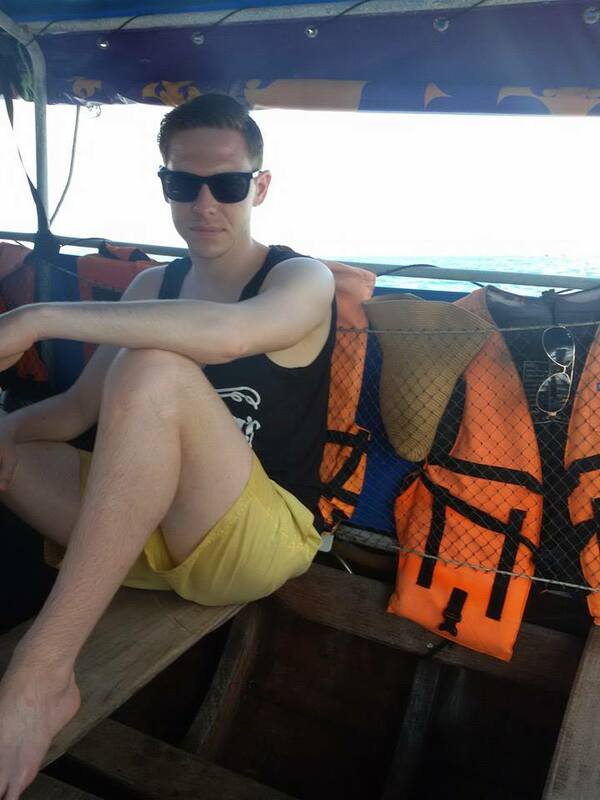 It only costed me 100 baht; I could even come and go whenever I want with my “private” boat. There were only 6-10 people on the boats, totally comfortable, and very flexible schedule. By taking that kind of boat, I could spend hours on the island to see the underwater view, playing with the sands and waves, eating and drinking, watching sunset, and reading my book. I only needed to get the ticket from an official booth at the port; and no people that aggressively offered me their boat service. That’s a kind of luxury I can’t afford in Phuket. 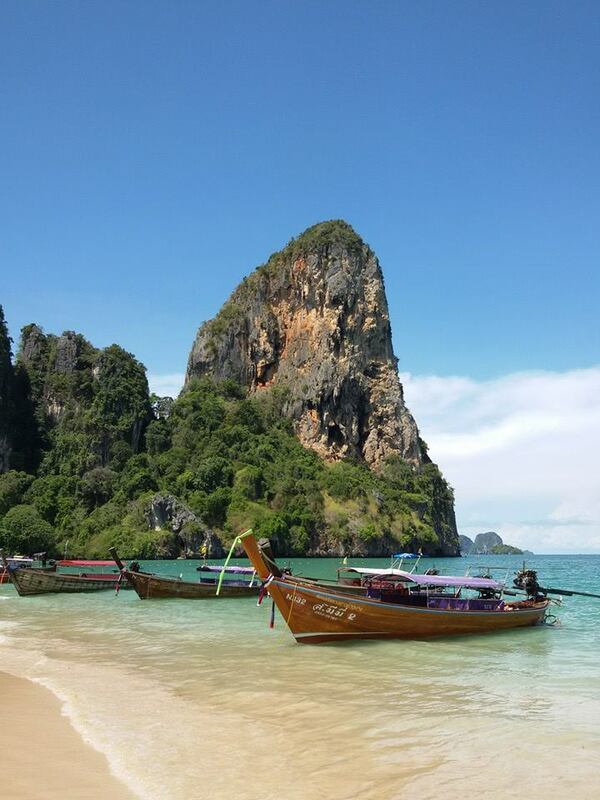 Another plus: boats to James Bond and Phi Phi Island are also available from Krabi! What I like most from Krabi is the size of the town. Unlike Phuket that required me to drive a motorbike or take an expensive cab, I could just walk in Krabi. It was small, and almost everything could be reached by foot. 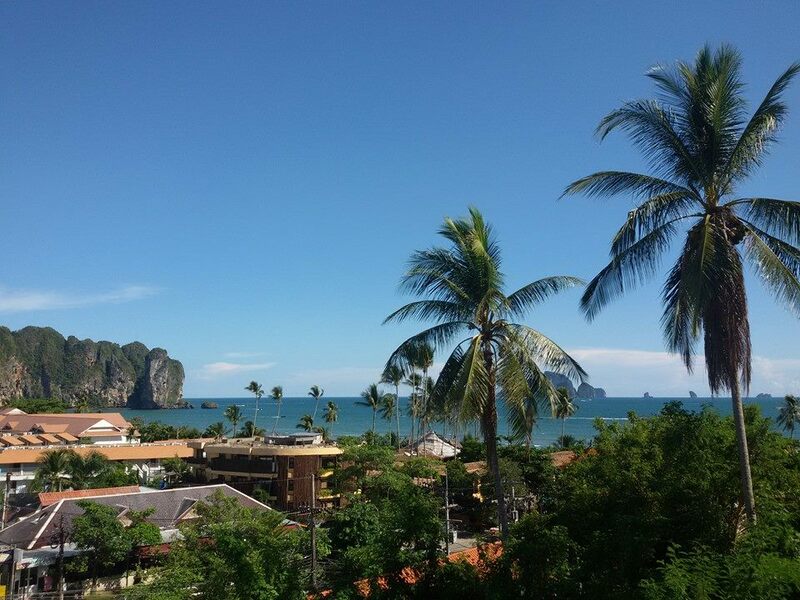 I stayed at Ao Nang Beach, the best area in Krabi: very close to the sea, surrounded by restaurants and bars, but not as loud as Patong in Phuket. I only used tuk-tuk once when I went to Krabi Night Market (20 minutes away from Ao Nang Beach), and the price was reasonable. Have I mentioned that I found an awesome hostel in Krabi? The name is Ao Nang Backpacker Hostel, very close to the sea. Great bedroom, friendly staffs, and cheap. Even the cheapest, I guess. I only need to walk a couple of minutes to the port, to the best Thai massage place, and to a lovely seaside bar that provided amazing cocktails for 99 baht only (my fave: piña colada). The bar was owned by a funny Thai gentleman named Tao that can always give an extra shot of booze to the drink. 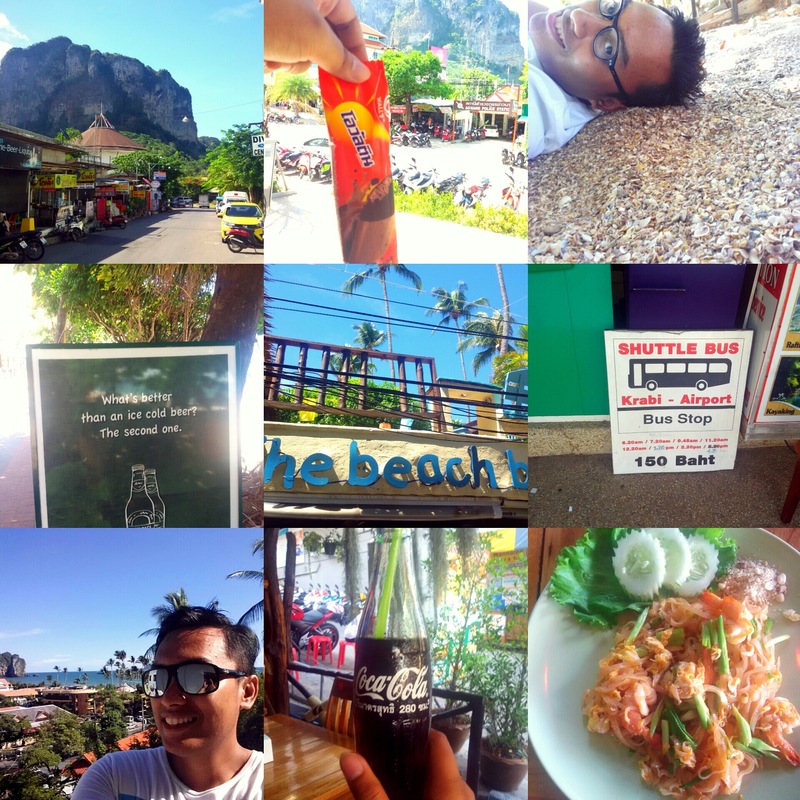 So yeah, going to Krabi has opened my eyes. That Thailand is more than just Bangkok and Phuket. That actually there’s another prettier, cheaper, and less-crowded destination. And oh, the sunset view was unquestionable. Clear sky, clouds that looked like cotton candies, and beautiful shades without having to go to an expensive beach club! I will definitely go back to Krabi. And if you haven’t been there, I believe you should! They look like cotton candies, don’t they? Oh wow, thanks for sharing this. 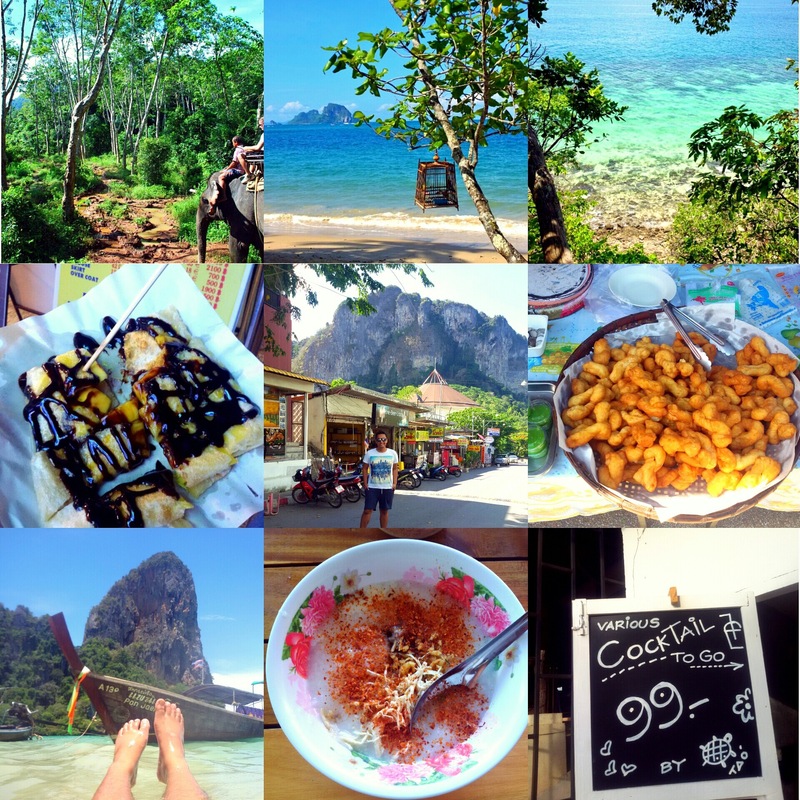 I had never heard about Krabi before, thanks to you! I’ll put this on my bucket list.